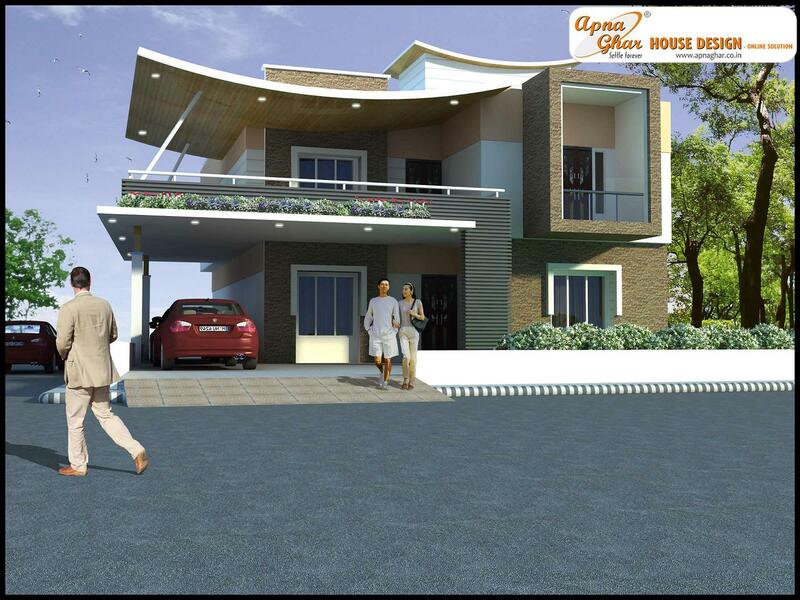 ApnaGhar.co.in has successfully completed various residential house designs. 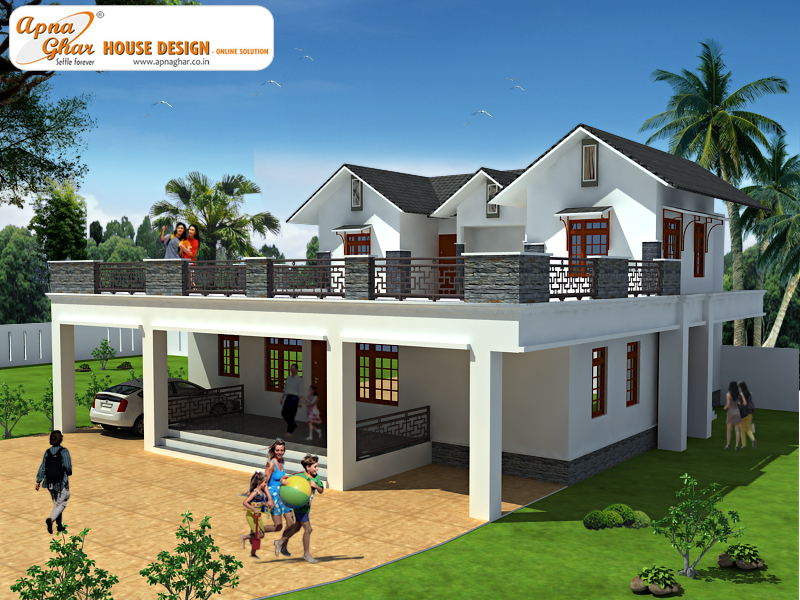 Here is on of the latest Duplex House Design completed recently. 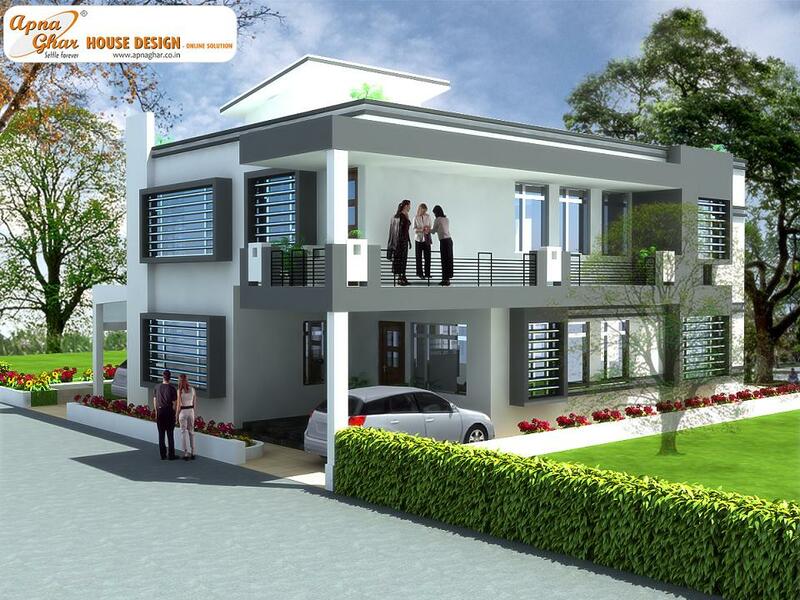 This is a beautiful five bedrooms duplex house design. 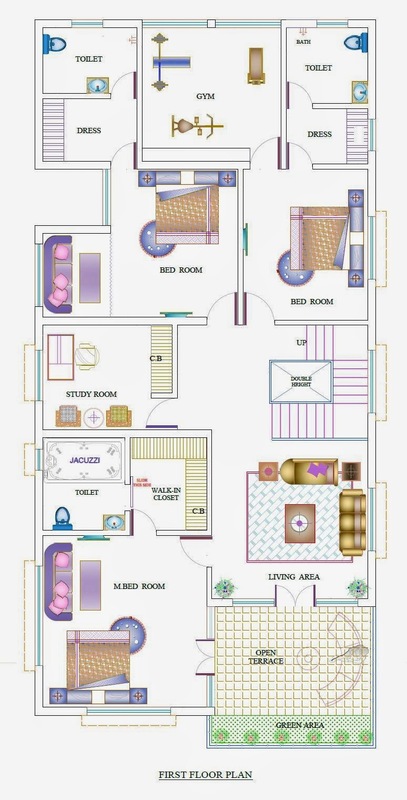 Ground Floor- Two bedroom attached with dress & toilets, one large kitchen attached with store room, dining area, one large drawing room, living area, laundry room, one servant room attached with toilet and one common toilets. Ample space for car parking is given in drive way. Lawns at both rear and front ends make this house more beautiful and well ventilated. First Floor- Three bedroom attached with dress & toilets, living area, study room and one gym room. 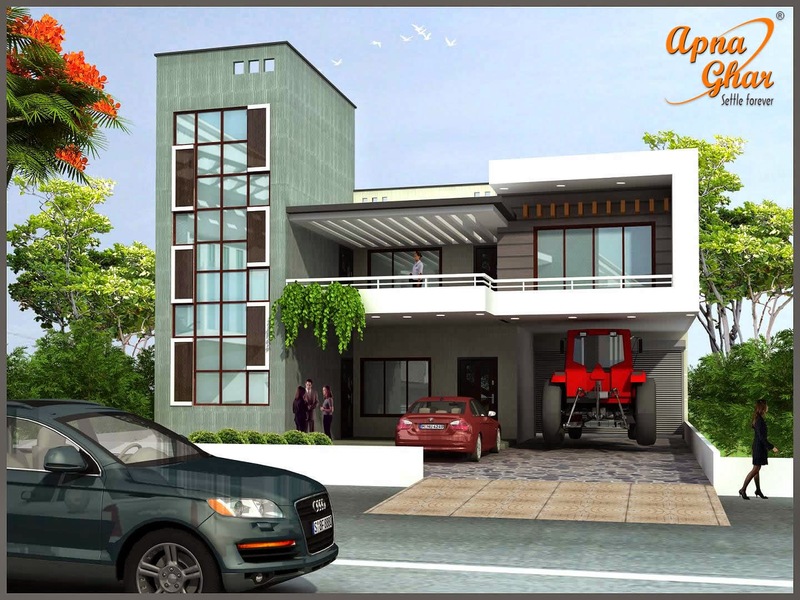 Duplex House Designs at ApnaGhar combines beauty, spaciousness, energy efficiency, convenient designs. 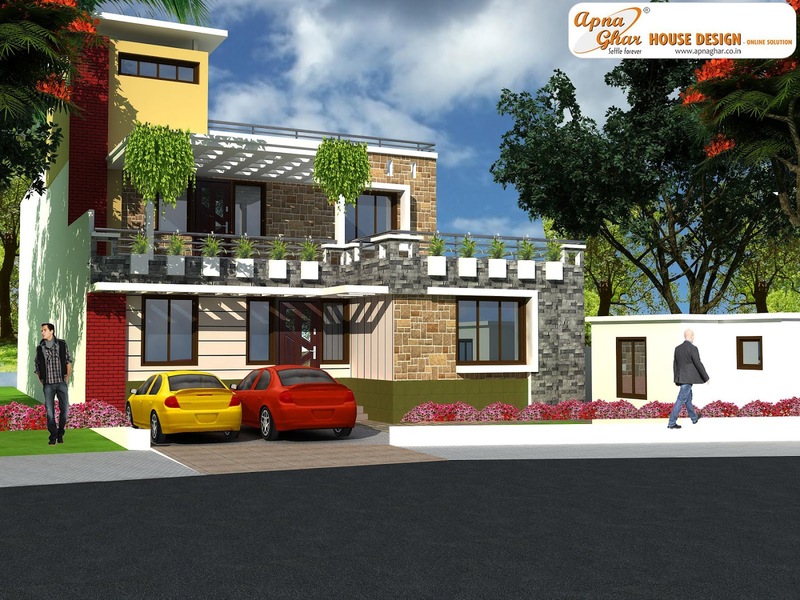 ApnaGhar designs duplex house that offer a wide range of options, like fireplaces, built-ins and more. 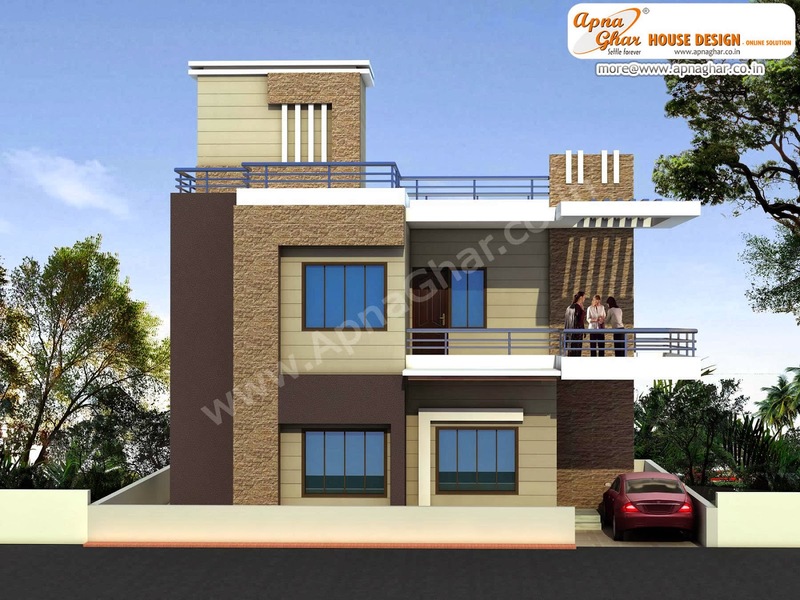 There is a number of duplex house designs type to choose from, including the Modern Duplex, Contemporary Duplex, Duplex Bungalows Duplex, Traditional House designs. The Duplex House offers two story units that feature stately facades, first floor master suites with cathedral ceilings, and large great rooms. You will find plenty of storage including walk-in closets, and these plans provide a variety of outdoor living options like covered patios and screen porches. 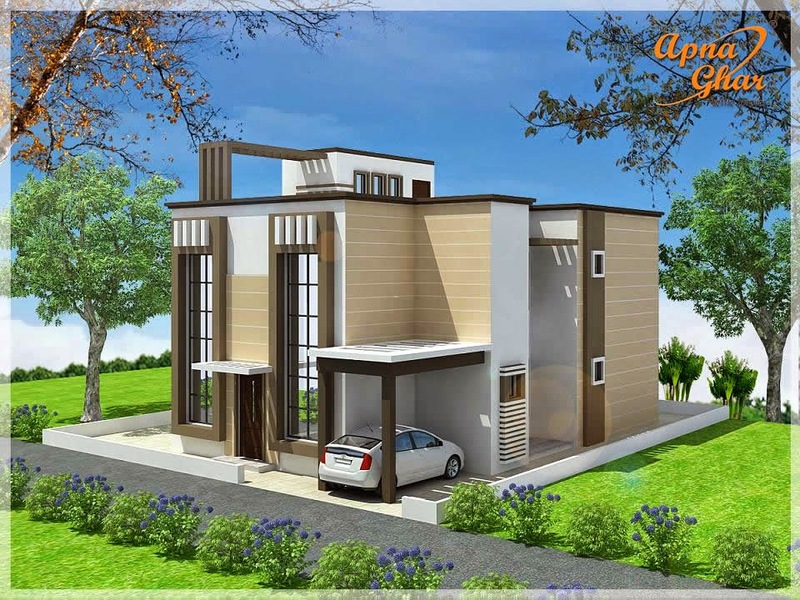 This is a beautiful four bedrooms duplex house design. Ground Floor- Two bedroom attached with dress & toilets, one spacious kitchen, one large drawing room attached with one toilets, living/dining area, and one servant room. 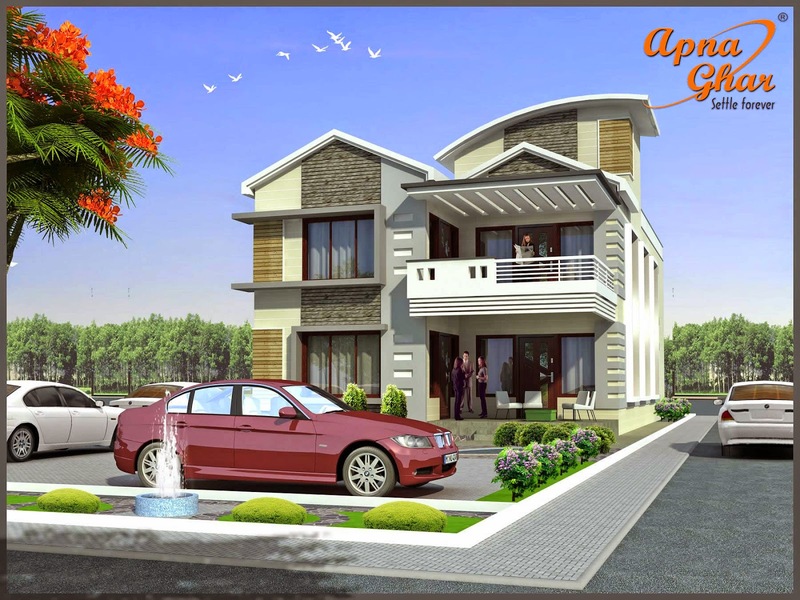 Ample space for car parking is given in drive way. Lawns at both rear and front ends make this house more beautiful and well ventilated. First Floor- Two bedroom one attached with dress & toilets, dining/living area. Ground Floor- Two bedroom one with attached toilets & dress, one spacious kitchen with store, drawing area, dining area, prayer room, one common toilets. Ample space for car parking is given in drives way. Lawns at both rear and front ends make this house more beautiful and well ventilated. First Floor- Two bedrooms attached with toilets, living area, hall, bar, gym area and one common toilet. Ground Floor- Two bedroom attached toilets & dress, one spacious kitchen with store, drawing area, dining area, prayer room, one store and one common toilet. Ample space for car parking is given in drives way. Lawns at both rear and front ends make this house more beautiful and well ventilated. First Floor- Two bedroom attached toilets & dress, pantry, lobby, family lounge and one common toilet. 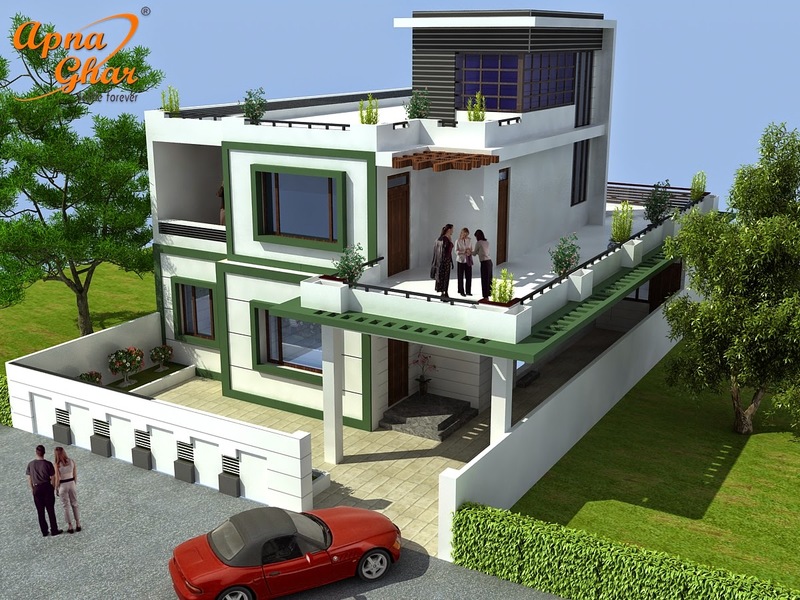 This is a beautiful three bedrooms duplex house design. Ground Floor- One bedroom attached toilets & dress, one spacious kitchen, prayer room, store room, drawing /dining area and one common toilet. Ample spaces for car parking is given in drive way. Lawns at both rear and front ends make this house more beautiful and well ventilated. First Floor- Two bedroom, two toilets and two open kitchens. Ground Floor- One bedroom one with attached toilets, one spacious kitchen, drawing room, lobby/dining area, prayer room, bar area, one common toilets. Ample space for car parking is given in drive way. Lawns at both rear and front ends make this house more beautiful and well ventilated. First Floor- Three bedroom attached with toilets & dress, lobby area, billiards. 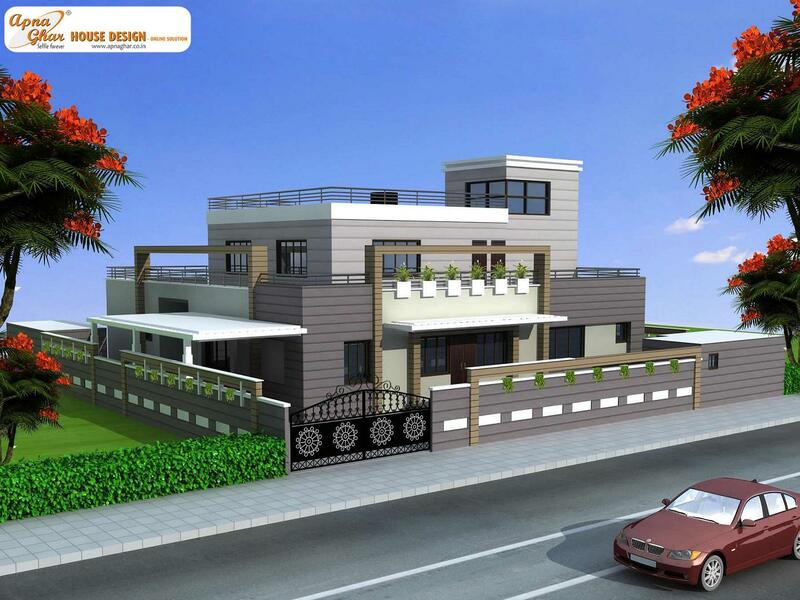 This is a beautiful six bedrooms duplex house design. Ground Floor- Four bedroom three with attached toilets & dress, one spacious kitchen with store, drawing area, dining area, prayer room and one common toilets. Ample space for car parking is given in drive way. Lawns at both rear and front ends make this house more beautiful and well ventilated. First Floor- Two bedroom with attached toilets & dress and one common toilets. Independent Floor House Design in 264m2 (11m X 24m).